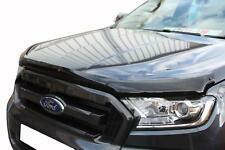 B004 - FORD RANGER T6 2016 ON BONNET GUARD PROTECTOR IN BLACK. No drilling required to fit thisFord Ranger T6 Bonnet Guard / Bug Shield. Available in dark smoke. Pick Up Accessories. Vans Accessories. ISUZU D-MAX 2017 ON EGR BONNET GUARD PROTECTOR IN DARK SMOKE. Pick Up Accessories. Vans Accessories. No drilling required, fitting kit included. No drilling required to fit thisFord Ranger T6 Bonnet Guard / Bug Shield. Pick Up Accessories. Available in dark smoke. Storm Xccessories. Compatible for – Nissan Qashqai and Nissan Qashqai 2 2010-2014. 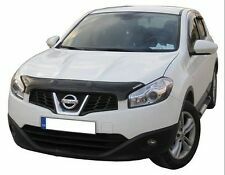 NISSAN QASHQAI 2010-2014 EGR BONNET GUARD PROTECTOR - GENUINE LOGO. Our EGR Bonnet Guards are designed with the latest CAD technology to follow the contours of your vehicle perfectly. 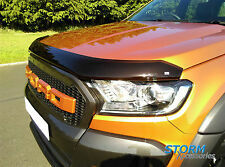 FORD RANGER T6 2016 ON EGR DARK SMOKE BONNET GUARD PROTECTOR. Our EGR Bonnet Guards are designed with the latest CAD technology to follow the contours of your vehicle perfectly. Bonnet protectors are also commonly referred to as Stone Chip Shields, Bug Deflectors and Hood Guards. Black base with white lettering. These look great great with the Black Ranger Lettering. These stand out. Bonnet Stone Guard. 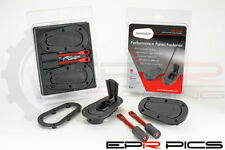 Bonnet Pins / Engine Hood Lock | Black. • Slide plate and pins manufactured from very strong lightweight high tensile aluminium. 5MM U SHAPED. EASY FIT - SELF ADHESIVE. FOR INTERIOR AND EXTERIOR USE. This bonnet guard for your Kia Sorento 2003 - 2009 is not only practical, but looks great too. This bonnet guard set is not only practical, but looks good too for the Hyundai i800 or iLoad. 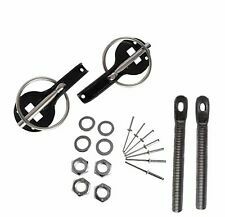 Competition Boot Spring Kit Black (pair) - Stainless Steel RD1904BL. Fasteners & Bonnet Pins. Race & Rally Acc's. Rally Design, established in 1972, expanded from a lock up garage to now an impressive 42,000 sq ft warehouse. This bonnet guard set for the Ssangyong Tivoli 2014 is not only practical, but looks good too. This item is a high quality item NOT a cheap copy! E Class W212. Easy to fit and remove. Product Code. This is a Genuine Autocarkd product. Swift 2017 . Jimny 1998 . RAV 4 2013 . This chrome bonnet guard set for the Hyundai Tucson 2015 is not only practical, but looks good too. This bonnet guard for your Kia Sportage 2005 - 2010 is not only practical, but looks great too. This bonnet guard for the Hyundai Santa Fe 2007 - 2012 is not only practical, but looks good too. This bonnet guard set for the Hyundai Santa Fe 2013 - 2018 is not only practical, but looks good too. No drilling required to fit thisVW Transporter T5 Bonnet Guard / Bug Shield. Pick Up Accessories. Smokers no longer need to get wet when driving in the rain. Reduces side glare from the. Cut condensation in the winter. This chrome bonnet guard set for the Hyundai Santa Fe 2007 - 2012 is not only practical, but looks good too. This bonnet guard for your SsangYong Rexton 2003 - 2007 is not only practical, but looks great too. This bonnet guard set for the Kia Sportage 2010 - 2015 is not only practical, but looks good too. No drilling required to fit thisToyota Hilux Bonnet Guard / Bug Shield. Pick Up Accessories. Smokers no longer need to get wet when driving in the rain. Reduces side glare from the. Cut condensation in the winter. This chrome bonnet guard set for the Kia Sportage 2010 - 2015 is not only practical, but looks good too. This bonnet guard set for the Kia Rio 2012 - 2016 is not only practical, but looks good too. Our EGR Bonnet Guards are designed with the latest CAD technology to follow the contours of your vehicle perfectly. Bonnet protectors are also commonly referred to as Stone Chip Shields, Bug Deflectors and Hood Guards. No drilling required to fit thisRanger Rover Evoque Bonnet Guard / Bug Shield. 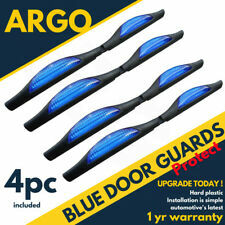 In addition, they improve the styling of many vehicles, as all our wind deflectors are grey smoked and slimline. Our Wind Deflectors can be fitted in minutes without any tools and without any specialist knowle. Specifically designed for the Jeep Renegade (2015 ). 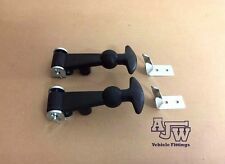 We are sure you know that when buying accessories for your vehicle, there is much more than price to consider. We endeavour to get you the best quality parts at the best prices. Specifically designed for the Doblo (2010-14). We are sure you know that when buying accessories for your vehicle, there is much more than price to consider. We endeavour to get you the best quality parts at the best prices. This bonnet guard for your Kia Sportage 2016 is not only practical, but looks great too. Specifically designed for the Boxer (2006-14). We are sure you know that when buying accessories for your vehicle, there is much more than price to consider. We endeavour to get you the best quality parts at the best prices. No drilling required to fit thisLandcruiser 150 2014 onwards Bonnet Guard / Bug Shield. Bonnet guard is supplied in dark smoke. Pick Up Accessories. Smokers no longer need to get wet when driving in the rain. This bonnet guard for your Ssangyong Korando C 2011- 2013 pre-facelift models is not only practical, but looks great too. Pick Up Accessories. About Storm Xccessories. This bonnet guard for your Chevrolet Captiva 2007 - 2011 is not only practical, but looks great too. VW Golf MK1 Hood Lifts. VW Golf MK1. VW Golf MK1 Cabriolet. VW Jetta MK1. VWSport Bonnet Lifts. These bonnet lifts give your car an unmistakably authentic sport appearance. VW Golf MK1 1 Cabrio Rabbit Headlight Bonnet Trim Grill Spoiler Eyelid Eye Brow. Fits: Vauxhall Vivaro (2001-2014). This bonnet bra is fully tailored to your Vauxhall Vivaro. Tailored to fit your Vivaro. Now that the material is softer, reopen the bonnet, untie your rope and pull the bonnet bra tighter around the bonnet. This bonnet guard for your Ssangyong Tivoli 2014 is not only practical, but looks great too. This bonnet guard for your SsangYong Rexton 2008 - 2013 is not only practical, but looks great too.